I need some insight from experienced international travelers. I’m a rising senior at UCLA going into my last year of college. I was awarded a ten-week fellowship to study abroad in Geneva, Switzerland during this upcoming fall semester. That’s why I need some guidance. I plan to travel to a handful of European and Nordic countries doing research for my senior thesis, which explores how digital technologies impact civic engagement. This problem is that I’ve only left the US once before and it was for vacation. In other words, I’m a total novice. What are the most important things to know before traveling for research work? And what am I supposed to do with my belongings while I’m gone? It wouldn’t make sense to ship it home or anything because I’ll need it when I get back. 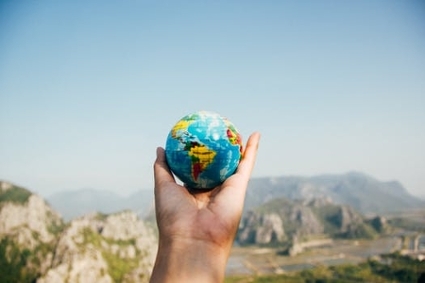 You should consider yourself extremely fortunate because the chance to conduct research abroad is very rare, especially for an undergraduate student. Planning ahead is one key to success. The second key is cultivating the right mindset. Developing a reliable plan is actually the easier of the two things to accomplish, which is why we should begin there. Let’s start with the pure basics. Ed Hewitt at Smarter Travel has already done you the favor of publishing a list of six things you should know about international travel. Some suggestions are rather obvious (e.g., starting the visa application process early and reminding you that international airports are “massive and complex”) whereas others are much more nuanced (e.g., learning to count to ten and convey gratitude in local languages). You have plenty of time to put some of those pointers into action. Identifying your target countries and investigating the visa application process would certainly be a sound strategy for the time being. Alexia Wulff at Culture Trip also put together an easily digestible list of things to know and do before Americans travel outside the country. There’s minor overlap between her takeaways and those presented by Mr. Hewitt. Her additional takeaways include visiting your physician before departing and bringing any necessary electronic adapters. Those two recommendations could be especially important since you’ll be expected to interact with a wide variety of people for professional purposes. You should also consider browsing a more comprehensive resource. The Bureau of Consular Affairs at the US Department of State maintains such a public resource in the form of a traveler’s checklist. The staff writers there have even gone as far as to produce content specific to traveler types. For instance, you might find the information for US students abroad and women travelers especially informative. You’ll quickly realize that there can be some considerable risks to mitigate while traveling internationally. Addressing your storage problem is likely the easiest part of the whole journey. The extent of the problem really depends on how many possessions you have and how valuable they are. The first thing you might do is consider subletting your space as a furnished apartment. That could save you money and help you avoid the labor of relocating your belongings; however, you’ll have to take into account the full range of pros and cons. If you happen to rely on on-campus housing, on the other hand, then another viable option would be looking into cheap storage units. That solution would probably be less logistically challenging than subletting, although you’d be incurring cost rather than saving money. Since your travels are academically driven, it would definitely be prudent to explore best practices related to product research. Carolyn Brown at Inc. put together a decent overview on how to conduct field research. She covers a wide range of methods and includes hyperlinks to additional resources. The authority on user research, however, is the Nielsen Norman Group (NNG). Susan Farrell, an NNG consultant, highlighted 27 tips and tricks for conducting user research in the field. Having a firm grasp of NNG’s techniques is certain to have a favorable impact on your thesis research. One side bonus of learning how to conduct successful user research is how widely transferable the skill set is. The fundamental principles are outlined more explicitly in Donald Norman's seminal book, The Design of Everyday Things. The field of journalism is no exception to the psychology described in the book. For instance, court reporters in West Palm Beach benefit from the lessons imparted as much as news correspondents in conflict zones. The trend toward increasing technology enablement isn’t likely to change anytime soon, which means understanding how people interact with also increasingly critical. User research offers a lot of promise in that respect. Everything introduced to you thus far has revolved primarily around planning ahead. More challenging is cultivating the right mindset. Let’s focus on that for a moment, because it’s tremendously important to your personal health and safety. Operating effectively in a foreign environment demands heightened situational awareness. Lucky for you, Scott Stewart at Stratfor wrote a practical guide to situational awareness. Consider implementing its guidance as soon as possible. Remember that practice makes progress!